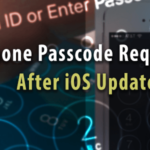 Have you ever found yourself in a situation when you lost your iPhone data following an upgrade to the latest iOS? 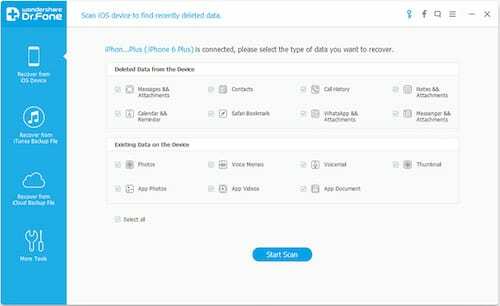 Have you accidentally deleted your data from your iPhone or iPad and realized that you did not have a good backup of your idevice data? These moments can be very frustrating. 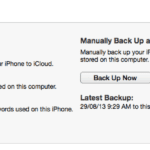 Apple always recommends us to back up our iPhone data using iTunes or iCloud before installing a new iOS update. There are always those moments when we forget to do this and find ourselves in a difficult situation having lost our idevice data. Dr. Fone data recovery program for iOS devices supports recovery of a wide variety of file formats. 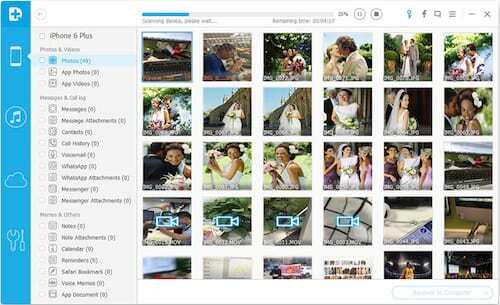 The supported file types include contacts, photos, messages, photos, notes, voicemail and whatsapp messages among the list. The software is easy to use. You start by connecting your idevice to your computer using the USB cable. You launch Dr. Fone on your computer. 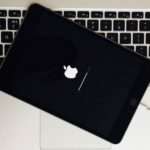 Upon the software’s launch, it automatically detects your connected iOS device and shows you a window to “Recover from iOS device”. The software has a powerful scanning process. 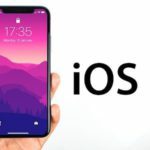 You simply click on the “Start Scan” button and the program starts scanning your iOS device looking for lost or deleted files so that it can easily recover them. After the scan is complete, you can review the scan results and choose to recover the deleted files that you want to get back. Recovery is fairly an easy process. You choose the files by checking the box next to them and click on the “Recover” button. 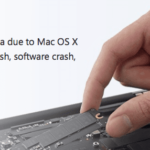 It claims to have to the “highest iPhone data recovery rate” in the industry. 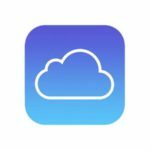 Dr. Fone gives you three ways to recover data, including from an iOS device directly, iTunes backup, or an iCloud backup. With either of these methods, you’ll be able to recover the popular file formats. You can take the recovery software for a test ride by checking out the free version and see how it works for your particular situation. The free versions are available for both PC and Macs. The software is compatible with iOS 10 as well as the new iPhone 7 and iPhone7 plus devices. So go ahead and give it a try! Hi Kim, You can try the free trial version of our software Stellar Data Recovery for iPhone software. 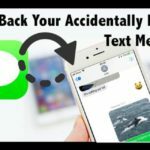 It helps to show your deleted texts on your iPhone and also help to retrieve data from iCloud and iTunes. Thank you for your comment. A very valid point cha.